Getting from LA to Cuba just got way easier. 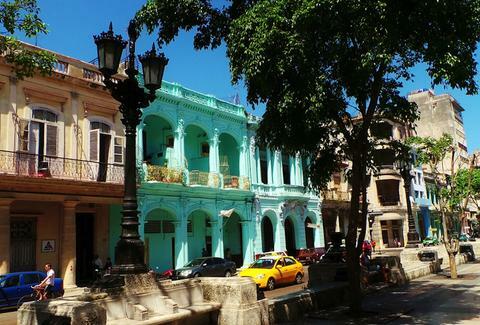 American Airlines announced Tuesday it will offer direct flights from LAX to Havana, Cuba, beginning in December. Flights will be chartered Boeing 737s on Saturdays, as part of American's partnership with Cuba Travel Services, the LA Times reports. American says it will be the first airline to offer direct flights from the West Coast to Cuba, and that it "[stands] ready to offer scheduled service as soon as the United States and Cuba allow commercial flights." Though the US has restored its diplomatic relations with Cuba, tourism is still prohibited, and alternative reasons for travel (like cultural exchange, journalism, or visiting family) are still required. However, the US government is hoping to strike a deal with Cuba by the end of the year to allow regular commercial flights between the two countries. Round trip tickets from LA to Havana will start at $899 per person. American will also have nonstop flights from Miami and Tampa, FL to other Cuban cities like Camaguey, Cienfuegos, Holguin, and Santa Clara. Cuban cigars for all to celebrate!